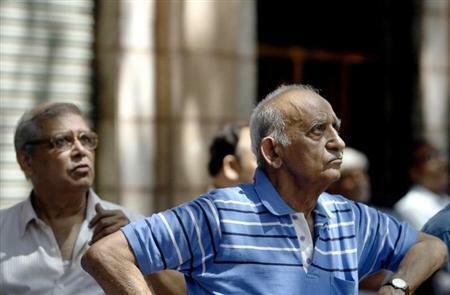 The stock market, which is expected to remain volatile on Monday, when the Union Budget for 2016-17 will be presented, could slip as much as three per cent if the announcements disappoint participants. The market is expecting fiscal prudence, a reduction in the corporation tax rate and positive measures on public-sector banks to lift sentiment. On the other hand, an increase in holding period for long-term capital gains tax on equities (from one year to three years) or an increase in direct tax or dividend distribution tax will prove a dampener. “The market could fall two-three per cent if the Budget disappoints. "If there are big negative surprises, the National Stock Exchange benchmark Nifty could even fall to the 6,500 level in the near term,” said Dalton Capital Advisors (India) Managing Director U R Bhat. He, however, added that a lot of negative news flow had already been factored in ahead of the Budget; this could limit the decline. There is a fear among market participants that the finance minister might raise the holding period for equities to qualify as a long-term capital asset. Higher direct taxes and an increase in the dividend distribution tax for those getting a certain amount of dividend are other possibilities. These could unsettle the markets, said experts. “The expectations from the Budget this year are low. "A reduction in the corporate tax rate and announcements to restructure and recapitalise banks will be viewed positively by the market. "I am hopeful that the Budget will be growth-oriented and take measures to boost the economy,” said Motilal Oswal Financial Services founder Motilal Oswal. The jury is out on whether the Budget will stray from the fiscal-prudence path. Not maintaining fiscal discipline could affect the Reserve Bank of India’s decision to lower interest rates in the coming months; this could be a negative for interest-rate-sensitive stocks. Capitalisation of banks will be keenly watched as well. “We believe the focus of the market will be largely on fiscal prudence, effective implementation of investments, and sectors affected by the Budget proposals. Off-Budget investment and governance reform announcements will continue to affect the markets,” said a research note by Kotak Securities. Given a gradual recovery in the economic activity, there is a possibility that the government would decide against sticking strictly to its fiscal deficit target (3.5 per cent of GDP) for 2016-17 under the fiscal responsibility and budget management; it might prefer to slightly increase fiscal spending to boost the economy, say analysts. “We believe the government will carefully weigh the pros and cons of choosing a more relaxed fiscal deficit target. "Even if the government relaxes the deficit target for 2016-17, it is unlikely that the new fiscal deficit target will be more than 3.8 per cent of GDP,” observed foreign brokerage Barclays. Experts say there might be a greater policy thrust in the Budget in favour of rural India, including rural-focused schemes and new areas like agricultural crop insurance, against the backdrop of two straight years of poor monsoon and growing stress in the agriculture sector. This could positively affect fast-moving consumer goods and consumer-centric stocks. Even if there are positive surprises in the Budget, the global cues will dictate market direction in the near term, added Bhat. A slowdown in China, followed by an emerging-market debt crisis and geopolitical tensions, remained the biggest tail risk for investors, experts said. The market has fallen about seven per cent in February, the most during this month since the February of 2007, on renewed concerns over global growth, slowdown in China and a slide in crude oil prices. International investors are pulling out from emerging markets, including India, and moving to safe assets like the US Treasury and gold. Foreign institutional investors have sold shares worth about Rs 6,000 crore (Rs 60 billion) in February, taking the year-to-date outflows to Rs 16,357 crore (Rs 163.57 billion).